From going on boring picnics during dates, the act of taking to an adventure sport with one’s spouse has been on the rise these days. Since valentine’s day is around the corner, if you have been looking for a way to surprise your better half, here’s a list of paragliding spots where you can camp around, have loads of fun and experience the thrill of air rushing through your face in a scaled atmosphere. This is the best spot to try out Paragliding in India. It was a proud moment for the entire nation when the Paragliding World Cup 2015 was hosted here and it was attended by pilots all over the world. 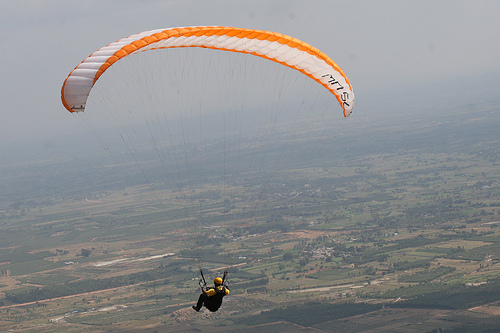 Paragliding is one adventure sport that requires immense skills and training. 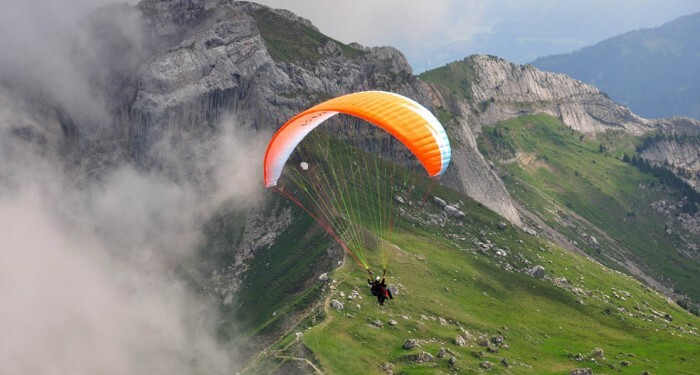 This spot offers two options for the paragliding enthusiasts 1) Solo 2) Tandem. For the solo riders, they need to enroll in a training program that is spread throughout a week. The Tandem ride can be taken by any common man who loves to try the sport as he/she will be accompanied by a pilot. The average cost is INR 2500/person. It is advisable to visit the spot after the monsoon season. So plan your outings any time between October-June. 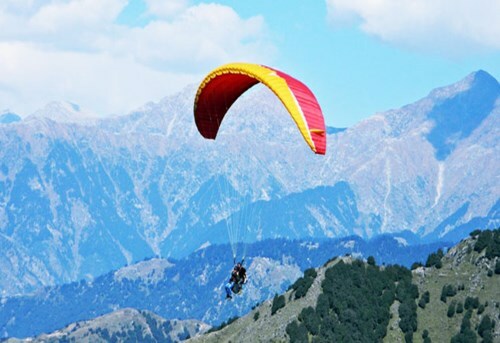 Solang valley is the paragliding spot of Manali. The fly distance and height offers the guests with two options to choose from 1) Short Fly and 2) Long Fly. For those scared of heights and not fit enough to endure a long flight, they can choose the short fly costing around INR 600/person. Whereas the long fly costs around INR 1500/person. The paragliding operations are shut during the monsoon period, so plan your trip wisely. 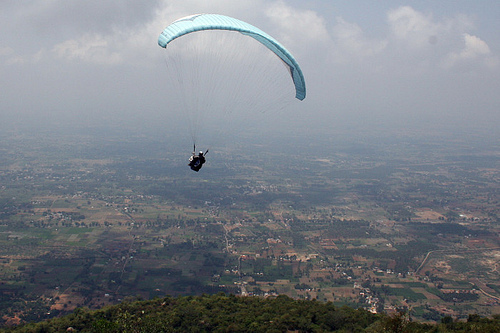 Paragliding was shut for a period of time at Nandi Hills concerning the security involved in the adventure sport. 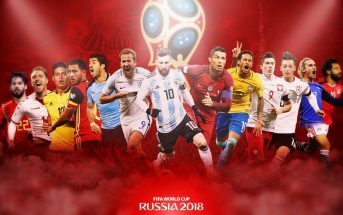 It is back again and don’t miss out on it. For those residing in Bangalore, this is the best spot to try out the spot as it is barely 90 minutes from the city. 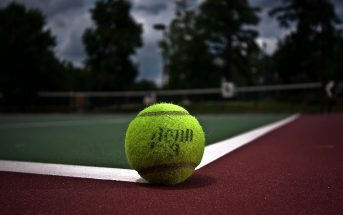 You can drive to this spot during the weekends and enjoy the sport. The Tandem option is available here and it costs around INR 1500/person. This one has an absolutely beautiful view. For those living in Mumbai and Pune, this is an almost paradise of an experience. So don’t miss it! 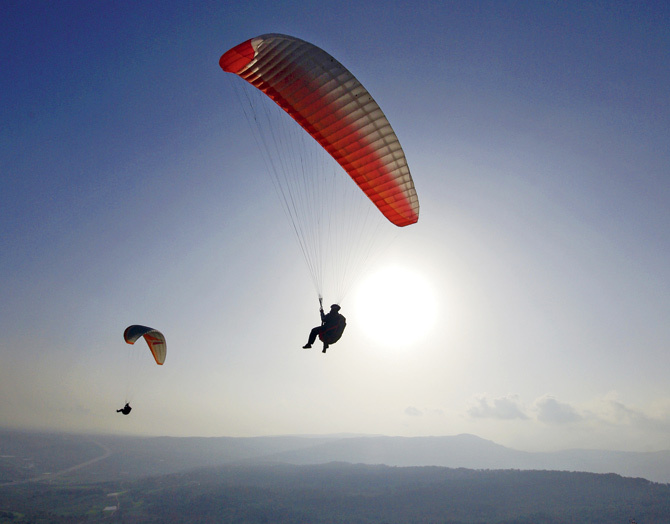 Kamshet offers Tandem paragliding experience that lasts up to 15 minutes. Also carry your supplies like sunscreen, sunglasses etc before you land up there. 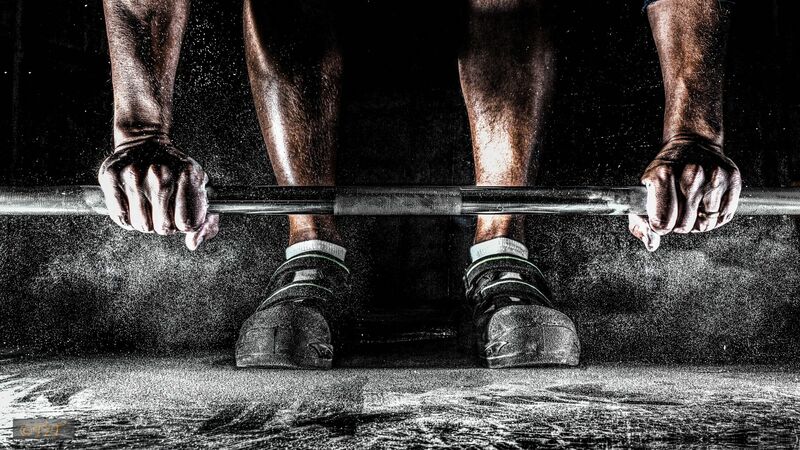 The average cost for an individual is INR 3000/person. The Yelagiri Adventure Sports Association (YASA) organizes various adventure activities including Trekking and Paragliding. The best time to visit is between June-August. Tandem paragliding is organized here and it costs around INR 1200/person. It is just a 3-hour drive from Chennai, so plan your weekend to this spot and bask in the adventure. 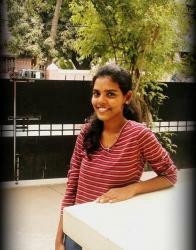 Sport Enthusiast with a penchant for Writing. Art and Music Lover, Foodie and a Travel buff.